Lightweight injection-molded thermoplastic alloy shell. Adjustable forehead vent provides flow-through ventilation. Nylon strap retention system neatly secures chin strap. Great helmet. This purchase was for my wife and we used the measurement guide and got a great fit. The only thing Disappointing was that it didn’t come with a helmet bag. I would definitely recommend this helmet to others. Great fit, very comfortable , would buy this brand again . Well made and a good fit. Sized properly. Came as described. 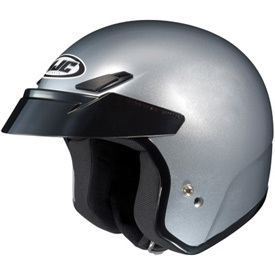 I have a large head 7-5/8” the 2x fits snug like a helmet should. I really like this helmut, i wear it on atv rides when helmets are required in parks etc. love it. good looking and comfortable. Comfortable on long rides. Great fit and awesome price. Much more comfortable than a full face for UTV use. It was crash tested in Wayne national forest! The helmet did its job and she rode the rest of the day! It seems comfy! Are the check pads and the liner removable for cleaning? BEST ANSWER: NO. Not on this model.